DNA methylation plays a major role in organismal development and the regulation of gene expression. Methylation of cytosine bases and the cellular roles of methylated cytosine in eukaryotes are well established, as well as methylation of adenine bases in bacterial genomes. Still lacking, however, is a general mechanistic understanding, in structural and thermodynamic terms, of how proteins recognize methylated DNA. 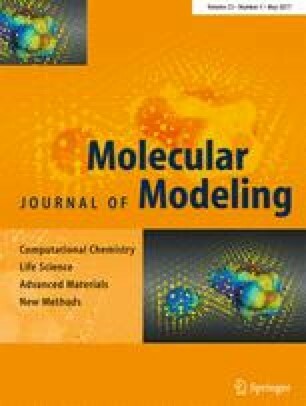 Toward this aim, we present the results of molecular dynamics simulations, alchemical free energy perturbation, and MM-PBSA calculations to explain the specificity of the R.DpnI enzyme from Streptococcus pneumonia in binding to adenine-methylated DNA with both its catalytic and winged-helix domains. We found that adenine-methylated DNA binds more favorably to the catalytic subunit of R.DpnI (−4 kcal mol−1) and to the winged-helix domain (−1.6 kcal mol−1) than non-methylated DNA. In particular, N6-adenine methylation is found to enthalpically stabilize binding to R.DpnI. In contrast, C5-cytosine methylation entropically favors complexation by the MBD domain of the human MeCP2 protein with almost no contribution of the binding enthalpy. The online version of this article (doi: 10.1007/s00894-017-3318-8) contains supplementary material, which is available to authorized users. We thank Prof. Matthias Bochtler (Warsaw/Poland) for valuable discussions on mechanistic issues of the R.DpnI system and for early access to the crystallographic data. In addition, we thank Dr. Wei Gu for fruitful discussions and helpful suggestions concerning the free energy perturbation calculations. This work is embedded in the framework of the collaborative research center SFB 1027 funded by Deutsche Forschungsgemeinschaft (DFG). S.S. thanks the German Academic Exchange Service (DAAD) for a doctoral fellowship. O.U. was supported by DFG.